.site means "websites" in literally. 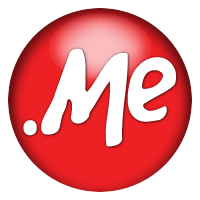 As a new gTLD, .site has the advantage of wide usage, so it can be used as the domain ending for any sites. Also, such a straightforward domain is not only easy to remember and conducive to develop users' long-term visiting habit. .site is a domain without limits! Because you can understand it as anything, it is qualified for all types of websites, such as artists, manufacturers, web developers, publishers, and others. It is diversity that makes .site so popular. Along with the development in China, .site also gets popular abroad and gradually expands market. It is exciting that .site deals are becoming more and more thriving! .site is a domain from Radix whose .pw and .tech has already been popular in China. By far, .site and ZDNS, a Chinese technology platform, signed an agreement, so it is near to see .site getting record approval. At present, the inventory is more than 375,000; in terms of the number of registered user, .site ranks seventh in the world.